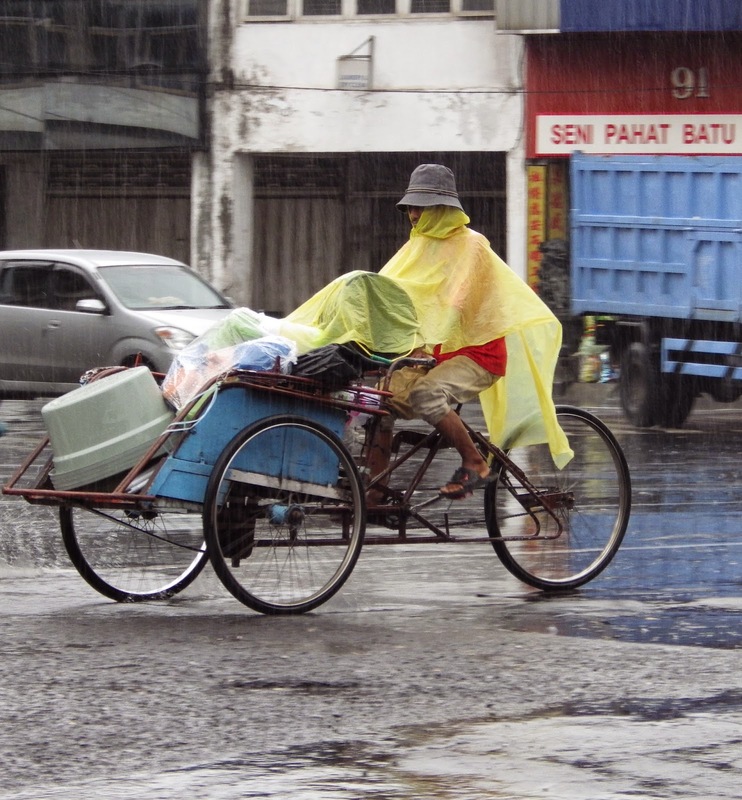 Travelling in the wet season in Java (from November to March) is not recommended by most guide books. Roads do get flooded, and travel plans may be have to be altered. 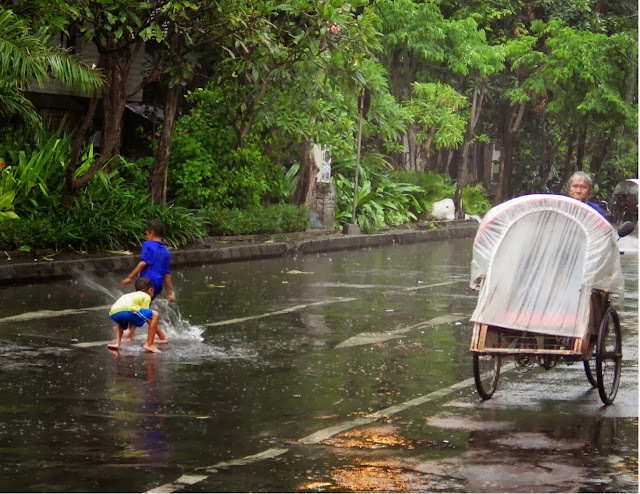 However like the children excitedly, albeit somewhat dangerously, playing on the flooded road pictured above, it can be enjoyable and a great time to travel. And with weather patterns changing globally, you never know what to expect whatever season you travel in! I travelled in the wet because I saw a ridiculously cheap airfare from Sydney to Surabaya, and only thought about the weather when I arrived there in the middle of a torrential rain storm and my taxi from the airport was stranded for 20 minutes on a flooded highway. I began to have some second thoughts, but we soon got going again, and the longer I stayed in Java the more I discovered the real benefits of travelling at this time of year. * The hotels are almost empty, giving you choice and bargaining power. At Mt Bromo during the midweek, the hotels and guesthouses are almost all empty. I was not really bargaining when a guesthouse owner cut the price of the room from 200,000 Rupiah (A$20) to 75,000 Rupiah (A$7.50). Conversely in peak season the price rises to 400,000 Rupiah (A$40). * The storms are spectacular. I never tire of seeing tropical lightning storms, particularly ones in the distance where you cannot hear the thunder but see the clouds light up as if someone was throwing a switch! * You get to see the main tourist sites like Mt Bromo and Borobadur with far fewer tourists to jostle with. * It only rains for a short while, thirty minutes to one hour, and then the sun comes out again. * If you do get caught in a downpour, the rain is warm and not unpleasant, and you soon dry out. * The weather is cooler. On a hot day, the rain drops the temperature by 3 or 4 degrees celsius. * The countryside is green and beautiful, as opposed to being yellow and dried out at the height of summer. * The rain clears the air of dust and pollution letting you take much better photographs.